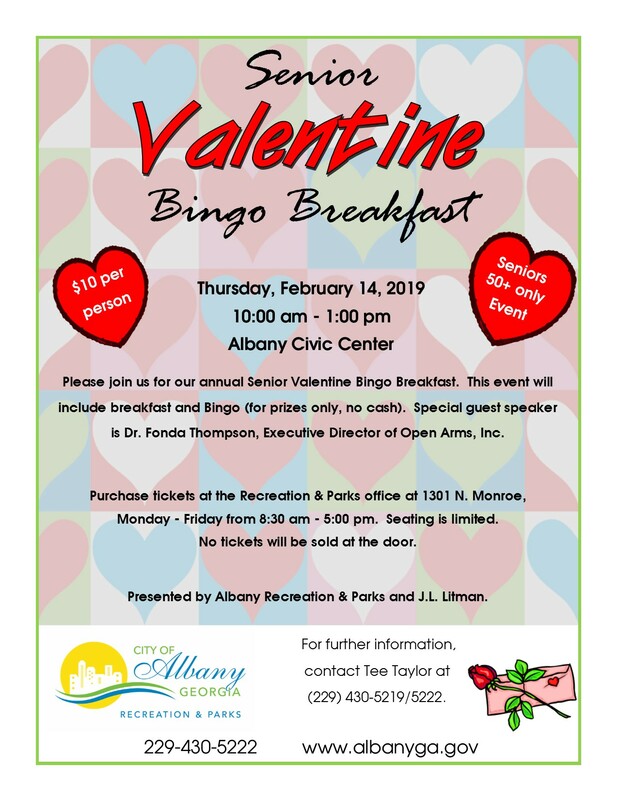 Albany Recreation and Parks ask you to join them for the annual Senior Valentine Bingo Breakfast. This event will include breakfast and bingo (for prizes only, no cash). Special guest speaker is Dr. Fonda Thompson, Executive Director of Open Arms, Inc. Purchase tickets at the Recreation and Parks office at 1301 N. Monroe, Monday - Friday from 8:30 am - 5:00 pm. Seating is limited. No tickets will be sold at the door.